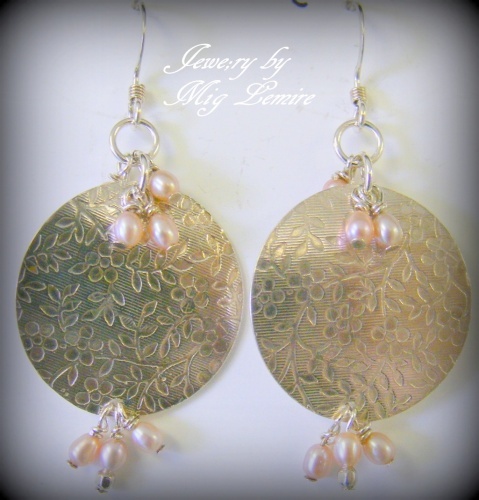 These sterling silver discs have been hand textured and accented with pretty . pearls. Discs measure slightly under 1" rounds.